It’s BACK ! You can Order the Stargaze Scentsy Warmer! The Stargaze was the Warmer of the month For January – However, it sold out on it’s first day! 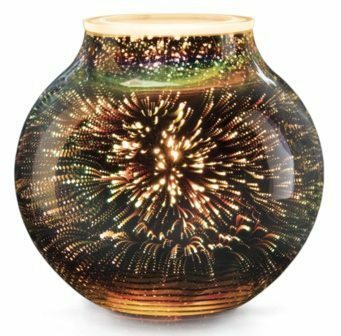 The Stargaze warmers come alive with a brilliant burst of light and color, featuring unique starbursts of sparkle, regardless of variations in color. When switched on, each Warmer offers its own unique combination of bursts that simply must be experienced! No Two are alike. Get yours now, don’t wait!